Tigers legends abound: Mickey Cochrane. Charlie Gehringer. Al Kaline. Willie Horton. Ty Cobb. Sportscaster Ernie Harwell. 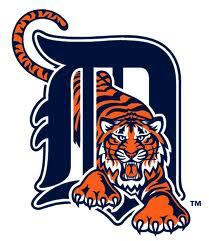 Since 1894, when they joined the Western League, the Detroit Tigers have been in the spotlight each and every season. With a loyal fan base and a distinguished history, the "Bless You Boys" continue to attract huge crowds to Comerica Park each year. In truth, the Detroit Tigers are part of some of baseball's best and worst moments. When the Tigers won the World Series in 1968, they did so with center fielder Mickey Stanley at a position he had only played nine times before – shortstop. The Tigers' 1984 World Series victory over the San Diego Padres was the culmination of a fantastic season with a team record 104 wins. The Tigers have won four World Series and ten American League Championships. They have also, unfortunately, earned the unwanted record for most losses in American League history – 119, in 2003. In 2010, pitcher Armando Galarraga's hopes for a perfect game were dashed in the bottom of the ninth when umpire Jim Joyce declared Cleveland Indians batter Jason Donald safe at first base. Replays showed that Joyce had, indeed, made an incorrect call, and Galaragga left Comerica Park without his perfect game. Throughout the Cobb era, the years under legendary manager Sparky Anderson, and the post-2003 comeback, the Tigers' fans have remained steadfast, setting team attendance records during less-than-stellar years. This should come as no surprise to anyone who has met and talked with a Michiganian (or Michigander; it turns out that there is no official term for a Michigan resident, according to Michigan.gov, (the state's official website). Loyalty to the Wolverine State comes with the territory, whether one hails from the Lower or the Upper Peninsula. Knowing all of this, and appreciating the Detroit Tigers' status as a charter member of the American League, which wines would you serve or give to a Tigers fan? I highly recommend staying "close to home," as it were, and giving your favorite Tigers fan a bottle of Michigan wine. French explorers found wild grapes in Michigan in 1679 and made wine from them, according to Sharon Kegerreis and Lorri Hathaway, authors of "Summary of the Early History of the Michigan Wine Industry." 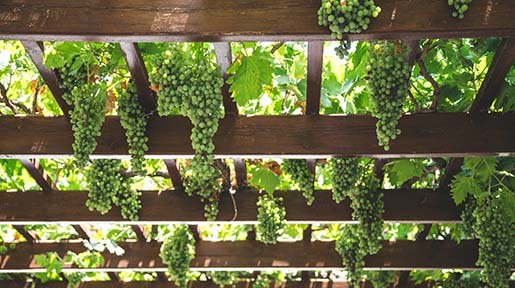 Throughout Michigan's history, grape growing and winemaking have been important aspects of the state's agricultural development. Winemaking in Michigan came to a temporary halt during Prohibition, but the state's vintners were well-prepared when the 21st Amendment, which repealed Prohibition, became part of the U. S. Constitution. In fact, Tigers Hall of Fame player Charlie Gehringer was one of the investors in Bronte Champagne and Wine Company, which was created several months before Prohibition was officially repealed. Today, Michigan boasts four AVAs, Old Mission Peninsula, Leelanau Peninsula, Lake Michigan Shore and Fennville, and 79 wineries, as of this writing. Visitors can take tours, taste wines and enjoy music, wine dinners and other special events at Michigan's many wineries. With nearly 80 wineries to choose from, you won't run out of places to taste Michigan wines. Michigan's AVAs have created wine trails to help you find your way to wineries around the state. There are only a few wineries in Michigan's Upper Peninsula, but what the U. P. lacks in numbers it makes up in determination, as it always has. Garden Bay Winery's Raspberry fruit wine won gold at New York's Finger Lakes International Wine Competition in 2011. Garden Bay Winery has two tasting locations; you can try their wines at the winery in Garden or at the Munising Tasting Room. All of Garden Bay Winery's wines are made from 100 percent Michigan grapes except Peninsula Red. Expect to pay $16 for a bottle of the Raspberry fruit wine and $10 for a bottle of Garden Bay Winery Pinot Grigio. On Michigan's Old Mission Peninsula, you'll find several wineries worth visiting. If you are interested in sustainable winemaking, stop by Bowers Harbor Vineyards, about 10 miles north of Traverse City. Bowers Harbor Vineyards produces award-winning red, white, sparkling and cherry wines. Bowers Harbor Vineyards 2008 Riesling Block II has won multiple gold medals, as have several of its other wines. You'll pay about $15 for a bottle of 2009 Pinot Grigio and $14 for a bottle of 2009 Medium-Dry Riesling. If you want to stay overnight at a Michigan winery, consider booking a night or two at Black Star Farms. Black Star Farms is a winery, yes, but it is also much, much more. In addition to its wines, Black Star Farms produces fruit brandies and cheeses – the Leelanau Cheese Company makes fromage blanc and raclette cheese. If you've never tried either type, you are in for a treat. Black Star Farms' café is open during the summer and fall months and proudly showcases Michigan products. You'll pay about $30 for a bottle of 2008 Arcturos Cabernet Franc and $17 for a bottle of 2009 Late Harvest Riesling. You'll find Bel Lago Vineyard and Winery on the Leelanau Peninsula. 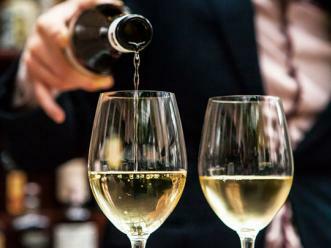 Bel Lago's wines include Pinot Gris, Chardonnay, Auxerrois, Late Harvest Pinot Grigio, Gewurtztraminer, Bordeaux-style blends, cherry wines, dessert wines, sparkling wines and ice wines. Bel Lago's popular Tempesta red wine retails for $35, while a bottle of Late Harvest Pinot Grigio sells for $30. If you find yourself in the southeastern Lower Peninsula, take the time to stop by Chateau Aeronautique Winery in Rives Township, near Jackson. Pilot-owner Lorenzo Lizarralde sponsors release parties and musical events at his "open hangar" days. Aviators, take note – you are welcome to fly in; although fuel is not available, you'll find a grass runway and plenty to do when you land. (Lights and fuel are not available.) To buy Chateau Aeronautique wines, you'll need to stop by the winery. Fenn Valley Vineyards and Wine Cellar lobbied for its own AVA in 1981, as Michigan's wine industry was moving into the modern age. Fenn Valley Vineyards and Wine Cellar remains the Fennville AVA's only winery. Fenn Valley Vineyards has two tasting rooms; one is at the winery itself, near Fennville, while the other is located in Saugatuck. The winery also hosts special events, including Blues at the Vineyard, Performing Arts at the Vineyard, harvest dinners and Girls' Afternoon Out. Tours and tastings are also available. Fenn Valley Vineyards' signature wines include the award-winning 42 Ice Wine ($15), Riesling 2010, which won gold at the 2011 Tasters Guild International Competition ($12) and Fenn Valley Premier Cuvée ($22), which also won gold at the 2011 Tasters Guild International Competition. If you're looking for a wine that would please any Tigers fan, stay close to home and choose a wine from Michigan. Better yet, take a detour through the Wolverine State and experience Michigan's wines for yourself.